I started my Facebook page showcasing the stuff I make as a hobby and before I knew it I had a couple of orders. The very first one came from a friend who I'd met on Orkut. We had done a few exhibition sales together and had fallen more or less out of touch in the last few years. She asked me to paint a pair of coffee mugs for her. 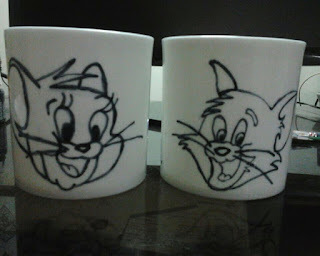 However she wanted me to paint cartoons on them - Tom and Jerry. Now cartoons, are way out of my comfort zone but I decided to take it on nevertheless. 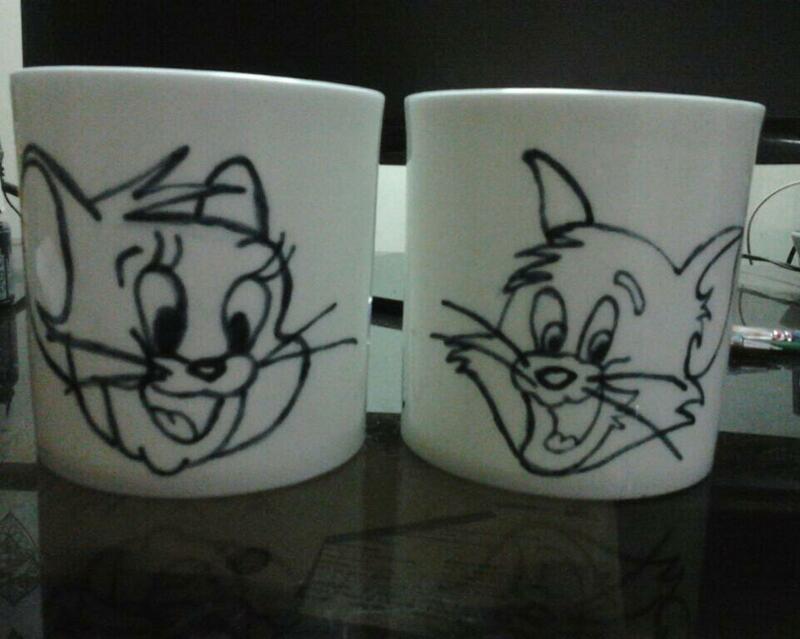 Tom and Jerry both proved to be a pain to paint. I was painting and re painting till I was ready to give up. It took me more than an hour to get each one as close to correct as I could manage and I swear, I'm sticking to my ancient scripts and tribal motifs henceforth. No more cartoons. There's a reason why I found these two giving me a hard time. They've been at it for many years already. Now Bengali pet names are legendary for their nonsensical and mostly retarded nature. I mean, a grown lady called Sishu, a grand uncle called 'pocha' (rotten), various mamas called Buro (old), Poka (insect), Potol (pointed gourd!, yes, really)... you get the idea. My parents took it a level further and the sheer ridiculousness of my 'pet' name or daak naam has scarred me for life. Now, imagine a sane man and an equally sane woman, both quite heavily into literature - English and Bengali. You would think they had the entire universe of fabulous names at their feet. They did. So what brilliant name did they saddle me with? Tom. Why? Why? I was an adorable chubby child. From which angle did I look like a Tom??! Not to mention 'Buli', 'Bultoo' & 'Pultoo'' - a few kids I knew. 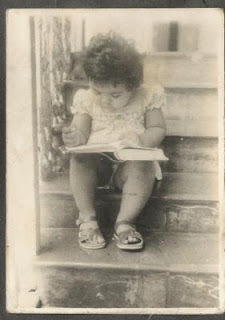 :) The adorable chubby child has grown well into an adorable,chubby woman! The mugs look cute. hahaa.... memories.. my fav freinds were bichhu and babai.. :D brought back memories re! Loved this pic when you posted it on BCL too, I'm sure they must have been a lot of work!! And yes, I have some Bengali connections too, and know exactly what you are talking about ;). Hahaha, Bengali nicknames are epic, yet probably the cutest!